Marketing a startup or a young brand is a lot like starting a fashion trend in high school. In lieu of a giant fashion budget -- or, in the case of startups, an advertising budget -- you need to rely on your own creativity to get attention. One creative way to build buzz on the cheap? 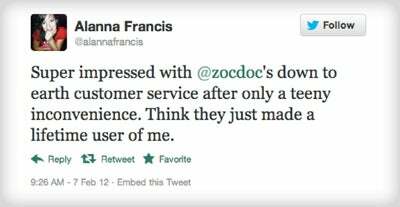 Consider tapping the help of brand ambassadors -- that is, customers who voluntarily promote your brand by speaking/writing/tweeting publicly about how much they love your products or services. These model consumers of your product, service or brand in general, ideally embody the ethos of your company and match your target demographic. What’s more, they are real users and they really think you’re doing great things so they are not shy about promoting you to their friends, family and colleagues. But how do you find these fabled creatures? When embarking on a brand ambassador initiative it’s critical to realize that your brand needs to be seen as a lifestyle, not a product manufacturer. Starbucks does not simply sell coffee. It sells an image and a lifestyle. 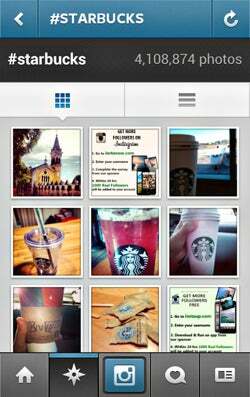 And Starbucks fans love to discuss, Tweet and Instagram their lattes. The only way to attract brand ambassadors who will genuinely want to endorse you is by making them feel like they’re part of your brand’s mission. Even if your brand is one that might seem mundane to most, focus on the bigger picture of how your service or product can impact your consumers’ lives in positive ways. By creating a lifestyle around your brand, you can begin to build up what’s known as a “social audience.” This is a crucial first step as you will need to cull your existing fan base to choose “super fans” who have potential to act as ambassadors. What are your ambassadors called? What are your expectations of them? Will the program be application or invitation based? How will you promote the initiative? How will you measure the success of the initiative? 3. Check out other programs. One of the best-known ambassador programs is Yelp, which offers “Yelp Elite” status to select members. Elites are invited to free monthly events to try out new food and hobnob with fellow elites. 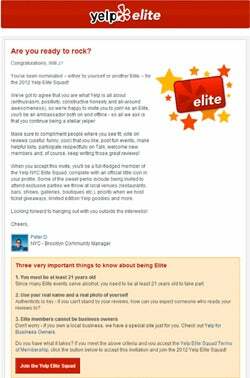 The program is popular among Yelpers and motivates non-Elite members to contribute often to the site in order to be invited to the Elite Squad. 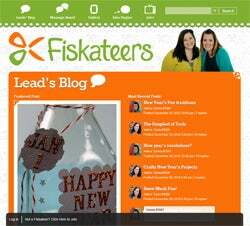 The scissors-maker Fiskars has created an entire community site, called Fiskateers, for its brand ambassadors. Ambassadors share ideas, inspiration, and showcase their craft work on the site. The community site reinforces its members’ commitment to the brand and generates interesting content that Fiskars can share via its social networks. With a plan and structure in place, you can begin to select ambassadors. Choose socially active consumers from among your follower base. Focus on those who are already saying positive things about you without prompting -- they are the “low hanging fruit” who are willing to promote you without the expectation of reward. Next, reach out to the fans you’ve chosen and invite them to become ambassadors. 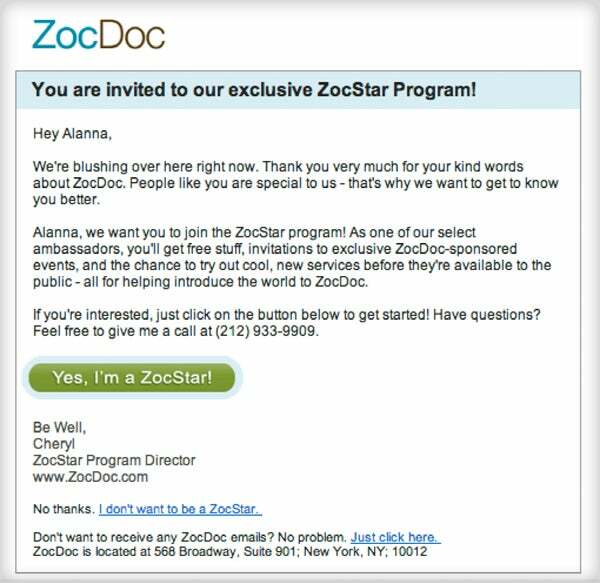 Be sure to clearly outline what participating entails and what benefits the user can expect to receive. To encourage your ambassadors to remain loyal and vocal, you need to reward them on an ongoing basis. This doesn’t mean you have to shower them with gifts every day, but you should show your appreciation regularly in a variety of ways. A few examples include hosting exclusive events for ambassadors, creating “ambassador only” sales, and highlighting ambassador-submitted content on your social pages or website. Make sure the rewards you offer your ambassadors are related to your brand and/or mission. Don’t just give away free iPads. Doing so is the quickest way to attract spammy ambassadors who could not care less about your brand. Starting a brand ambassador push requires thorough planning and concerted ongoing effort, but, when done correctly, a program can help increase brand recognition, spur sales and provide sounding boards for product feedback. What’s been your experience with a brand ambassador program? Give us your tips for making it work in the comments section below.